Free Practice 1 + 2: In the first practice sessions all Kaufmann Drivers as usual were on the pace. Jörg on P 3, Mazepin P 6, Vanthoor P 7 and Delétraz on P 10. In the second session the Kaufmann Jörg showed full potential beeing fastest. Delétraz on P 5, while the Rookies due to saving new tyres had been P 15 Vanthoor and P 17 Mazepin. 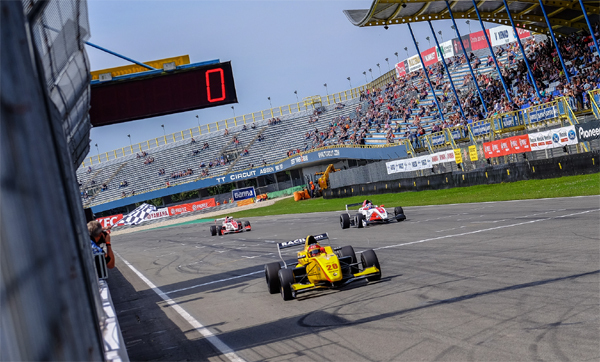 Qualifying 1 + 2: In the first qualifying Jörg repeated his strong performance to take Pole Position. Vanthoor very strong on P 3 followed by Déletraz on P 4. Mazepin did the 10. fastest time. In the second qualifying Delétraz had the better pace to take Pole Position. Jörg on P 4, Vanthoor P 7 and Mazepin P 13. Race 1: In the first race Jörg missed the start and dropped to P 3. Delétraz into the second turn lost few positions as well back to P 6. Mazepin also lost a few positions during the race to finish P 12. Delétraz moved up to P 5 in the end. 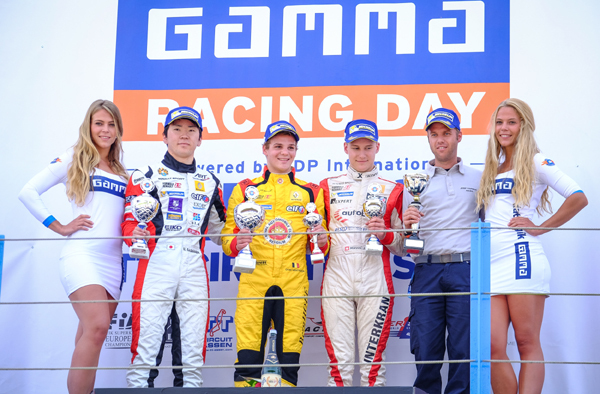 Jörg drove a clean race with a very fast pace to finish P 3. 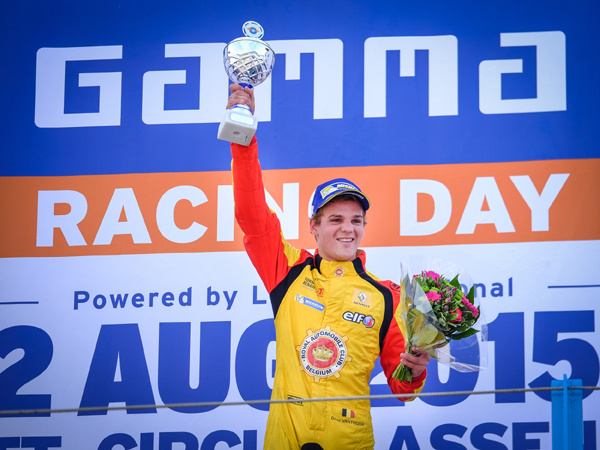 Dries Vanthoor was the man of the race. 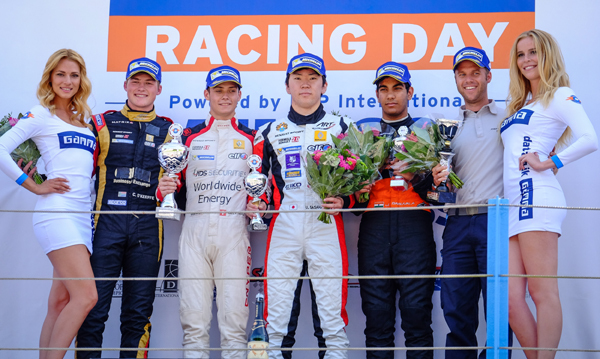 After a good start and an incredible overtaking move he took over the lead and drove a perfect race to claim his maiden race victory in Formula Renault 2.0. Great performance from the young Belgian. Race 2: In the second race on Sunday, Delétraz had a good start to keep the lead. Jörg also stayed on P 4. 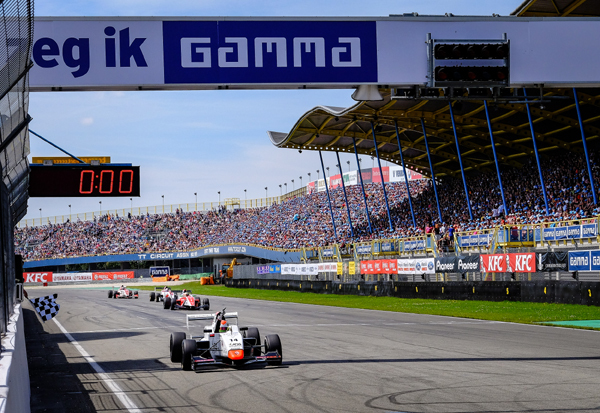 Vanthoor jumped the start, following a Drive Through Penalty he finished only P 16. Mazeping drove a good race and finished P 12. Jörg in the end on P 4, while Delétraz kept control of the race in the lead. The young swiss took the victory after the 25 minutes race.